Chocolate! Chuckles! Mystery! A lip-licking treat where reading meets chocolate (the perfect combo). What if chocolate vanished – forever? Wouldn’t that be awful? Especially for Jelly and her family. They live in Chompton-on-de-Lyte, home of the famous Blocka Choca bars. If this disaster happens, it’s not just people’s tastebuds that will suffer. It’s local families and jobs. But Jelly is suspicious. Soon a trail of clues leads her to a posh chocolate shop nearby. The pompous owner, Garibaldi Chocolati, seems weirdly smug in spite of his failing business. Is the chocopocalypse really coming – or is there a chocoplot afoot? 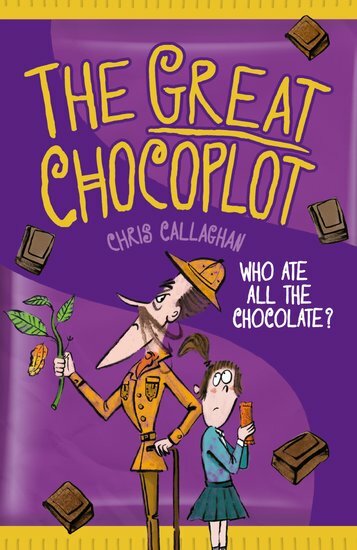 A plucky heroine, a sinister villain – and yummy chocolate!